Here’s some pastoral acid ambient from crx091081 (Belfast’s Robin Price). It’s had quite a long germination, since its genesis was more than a year ago. It’s a real labour of love and sounds it. Comes on a cassette tape with a beautiful laser cut sleeve. Art and music. Only £7 (edition of 100). Opener, The Fear sets the tone with a slowly unfolding start but enough unsettling buzz to justify the title. On untitled, the acid is crisp and clear but emerges as little bubbles of sound. There’s almost a romantic element to the synths. The album highlight. Pastorale marks a mood shift. From an internal landscape to an open external landscape. Some found sound and outside noise jar with slightly off-centre synths. There’s quite a lot of Bill Nelson’s Sounding The Ritual Echo here (see end). And that was done on wonky tapes, so there’s a certain symmetry. Wikipedia says of pastorale “In Baroque music, a pastorale is a movement of a melody in thirds over a drone bass.” And there’s definitely a bit of drone going on, below the sound of barking dogs and hissing wind and shore. Mine Beneath The Sea adds a dub feel to things for that deadened water sounding feeling. It’s also a rather unsettling track in some undefinable but claustrophobic way. Skunkworks follows a similarly dubby path but without the dread. Very much a late night, after dark tune. Sealoom and Birds is a stately promenade on an uncertain shore. Birds warble in the distance but never come fully into view. Non Aligned Church (I really want to add a hyphen there) offers organ-ish reverence. An ambient contemplation of things bigger than self. But the awkward electronics cut across that and add the sense of the world crowding in. The album ends with The Warmth. If much of the rest is an album of solitary listening, this track is a re-engagement with the world. Synths are softer, warmer and, well, warmer. This is another album highlight. I thought I’d then ask Robin what he’d want people to take from the tape. He said “Music is like a diary for me, I try to write everyday, and it’s often in response to places I’ve been. Most of my tracks are countryside tracks despite living in a city. I write about the places I go when I’m away from home and when I’m travelling I collect a lot of field recordings that I use in my music. A lot of these sounds are birdsong and through my studio window I can see flocks of starlings that tumble and weave around so I feel like they’re always there in my music making. Blurb: “Electronic artist Robin Price, known as CRX091081GB, is becoming the Camracid. 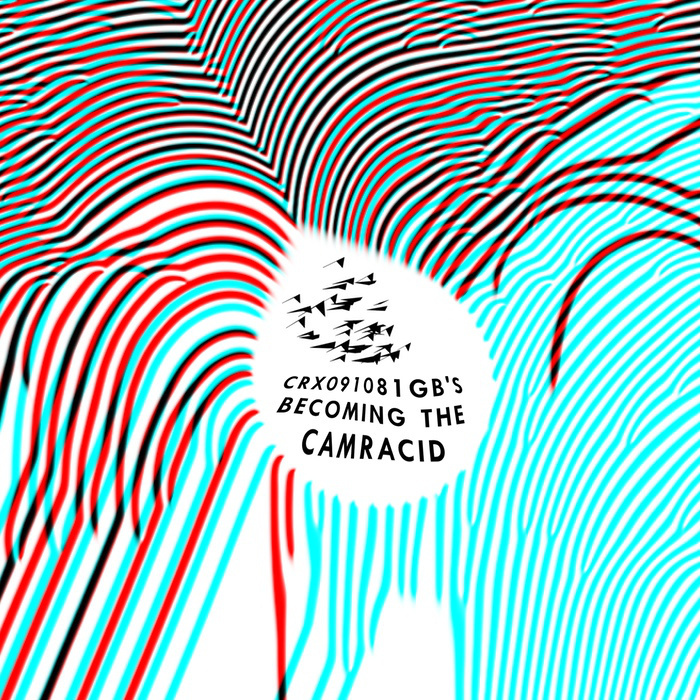 The Camracid is a migratory bird capable of carrying a synthesiser in its claws and a tune in its heart. Like a magpie the Camracid is attracted to the shiny metal surfaces of fine vintage electronics and hoards them in its nest. His previous releases on the Bohemian Club and Travin’ Systems led him to dress for radio, playing a live set on London’s art music station Resonance 104.4 FM in a ridiculous gold cape as well as gigs supporting the likes of Future Image, Scrase and Chris Moss Acid. ~ by acidted on August 3, 2015.